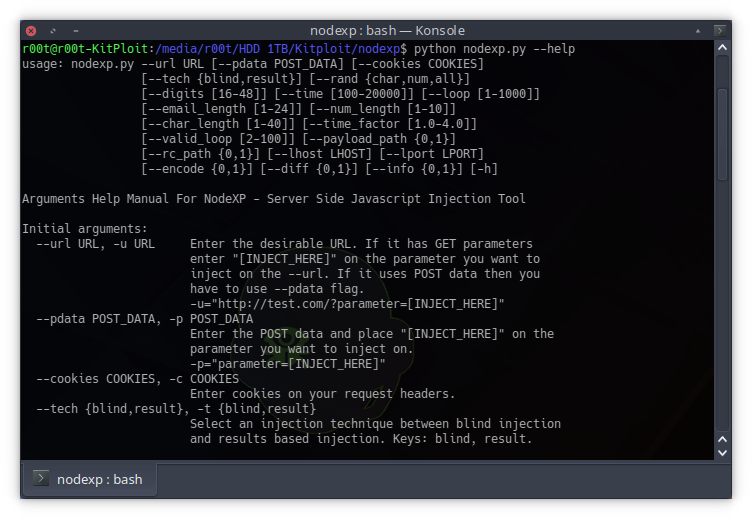 NodeXP is an intergrated tool, written in Python 2.7, capable of detecting possible vulnerabilities on Node.js services as well as exploiting them in an automated way, based on S(erver)S(ide)J(avascript)I(njection) attack! 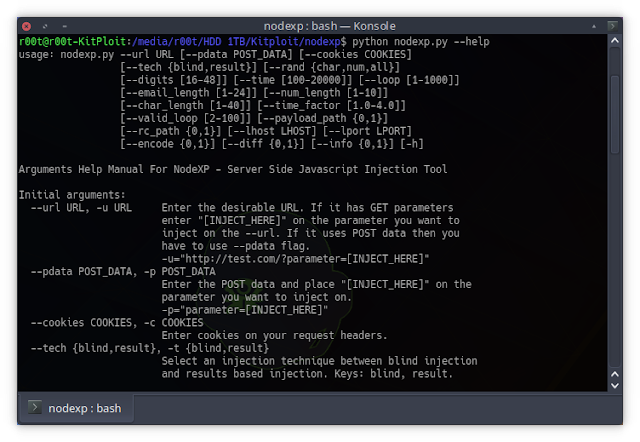 python2.7 nodexp.py --url="http://nodegoat.herokuapp.com/contributions" --pdata="preTax=[INJECT_HERE]" -c="connect.sid=s:i6fKU7kSLPX1l00WkOxDmEfncptcZP1v.fy9whjYW0fGAvbavzYSBz1C2ZhheDuQ1SU5qpgVzbTA"
The tool’s purpose is strictly academic and was developed in order to conduct my master's thesis. It could also be helpful during the process of a penetration test on Node.js services. Any other malicious or illegal usage of the tool is strongly not recommended and is clearly not a part of the purpose of this research. Visit Nodegoat or install Nodegoat to your local machine!